The restive province is effectively under the control of the security establishment. The killing and abduction of young Baloch men indicate that the establishment is again trying to resolve the situation through the barrel of a gun. The result is that the Baloch feel even more oppressed, repressed and suppressed. It is possible though to argue that a military operation for restoring or establishing the writ of the government in an area of conflict is somewhat justified but imposing the `will` of the establishment, masquerading in a national security state as the writ of the government, cannot be justified. In Balochistan`s case, the will of the establishment has been against the will of the people which is for a social security or welfare state. THE military handling of Balochistan is pushing Baloch nationalists into the separatist camp. All the apparent `kill and dump` policy is achieving is to kill any possibility of reconciliation and dump any chance of peace. The real problem lies in the mindset underpinning the approach to handling the Balochistan crisis the frame of mind created by the national security paradigm that gives the security and intelligence agencies a greater role. Only if this mindset is changed can the disgruntled youth of Balochistan be brought back into the national mainstream. Balochistan has always remained on the country`s political periphery. 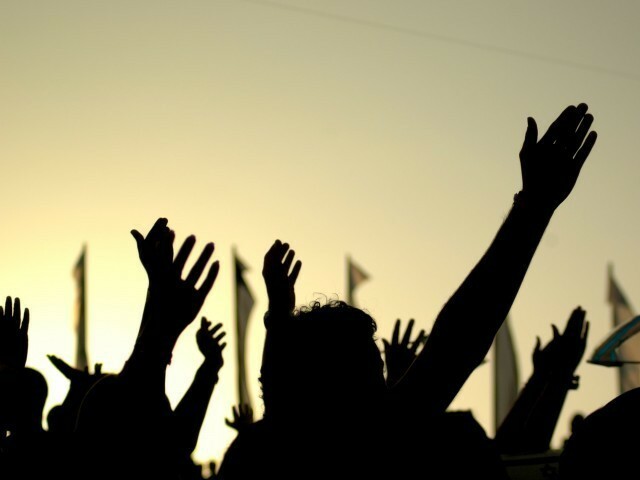 Over-centralism, a unitary type of governance and the arbitrary nature of the decision-making process in Islamabad have alienated the young of Balochistan. A province, already at the receiving end, is now receiving the bullet-riddled bodies of its people. The `mysterious kidnappings of political activists and extra-judicial killings are only fanning anti-federation flames. Four insurgencies have previously been witnessed in Balochistan: in 1948, 1958, 1962 and 1973. Four military operations were undertaken but these only resulted in a worse mess and in deepening the sense of deprivation, alienation and frustration in the province. Now, the province is facing another insurgency backed by separatists operating under different names including the Balochistan Liberation Army (BLA), the Baloch Republican Army (BRA) and the Baloch Liberation Front (BLF). Meanwhile, the restive province is effectively under the control of the security establishment. The killing and abduction of young Baloch men indicate that the establishment is again trying to resolve the situation through the barrel of a gun. The result is that the Baloch feel even more oppressed, repressed and suppressed. It is possible to argue that a military operation for restoring or establishing the writ of the government in an area of conflict is somewhat justified but imposing the `will` of the establishment, masquerading in a national security state as the writ of the government, cannot be justified. In Balochistan`s case, the will of the establishment has been against the will of the people which is for a social security or welfare state. There will be no improvement in Balochistan`s situation until the mindset of the decision-makers changes. It is this that has alienated the Baloch youth. Veteran nationalist leader Sardar Ataullah Mengal believes that the Baloch have reached the point of no return; that they consider the slow unfolding of large-scale killings justification enough for going their separate way. The question, then, is: what led to this point of no return? Gen Musharraf once presented the rationale behind military action in Balochistan: to get into a `position of strength` so that the weak enemy was forced to agree to terms for the resolution of the conflict. Whilst at war, this could be a prudent military strategy against an enemy. But is it justified against disgruntled and frustrated citizens of Pakistan? There is irony to be found in the death of Baloch leader Nawab Akbar Khan Bugti, who was targeted and killed in 2006. Immediately after, the official media announced the killing probably thinking that the impact would be an insurgency sapped of its strength. In actual fact, the province slid into renewed violence as the news of Bugti`s death circulated. The killing revived and ignited Baloch nationalism, giving it a martyr while providing new young recruits to separatist and militant organisations. Now, the separatists are fighting for an independent Balochistan against Pakistan`s armed forces and law-enforcement personnel. The light at the end of the tunnel lies in delineating and marginalising separatists from the nationalists, who have been fighting for political and economic rights as enshrined in the 1973 constitution. The killing of nationalists is diminishing any prospects of peace and pushing more young Baloch into the separatist camp. The `national security paradigm` has got Balochistan hamstrung, with even efforts towards development confined within it. A state version of the development of the province`s natural resources was put in place in which local needs and demands were imposed. Mega projects worth billions of rupees were launched under the Musharraf administration, but they were accompanied by proposals to establish military cantonments at Khuzdar, Gwadar, Dera Bugti and Kohlu. While they were probably meant to protect the projects under way in `enemy zones`, the impression created was that development was to be achieved at gunpoint. Then in 2009, the federal government presented the Aghazi-Hugooq-i-Balochistan package. But Baloch leaders rejected it on the grounds that the government had not even mentioned a date for the cessation of military operations or the recovery of `missing` persons. True, the package addressed some of the genuine grievances of the province; but how good was that when the Baloch continued to pick up the mutilated and bullet riddled bodies of their compatriots? One recalls US president George W. Bush`s comments when his country launched aerial attacks against Afghanistan: he boasted of American generosity and said that American planes, while bombing Afghanistan, also dropped food for the poor and hungry. Military offensives and political initiatives cannot go together. Economic packages to compensate for the destruction caused by military action will not be acceptable to the Baloch. The authorities must immediately halt the military operation in the province, and make efforts to bring Baloch nationalists to the negotiating table. Credible assurances must be given regarding a fair investigation into the killing of political activists and the recovery of `missing` persons. A political process engaging all nationalist forces and tribal elders is the only silver lining. There is always a better way to build peace in Pakistan. Every official must exert an effort to attain this dreamed peace. @bohol, I appreciate your visit and I do agree with you. Every one of us must exert his/her efforts to bring peace not only in Balochistan, not only in Pakistan but every where in the world. We have never needed peace as much as we do now.